Have you ever thrown a party for someone’s half birthday? If not, you’re missing a great opportunity! We just threw a half birthday party for my youngest daughter and it’s going to be one of the most memorable celebrations in my family. Although we had a very specific reason for celebrating this half birthday, I realized there are lots of other reasons they’re a great idea. 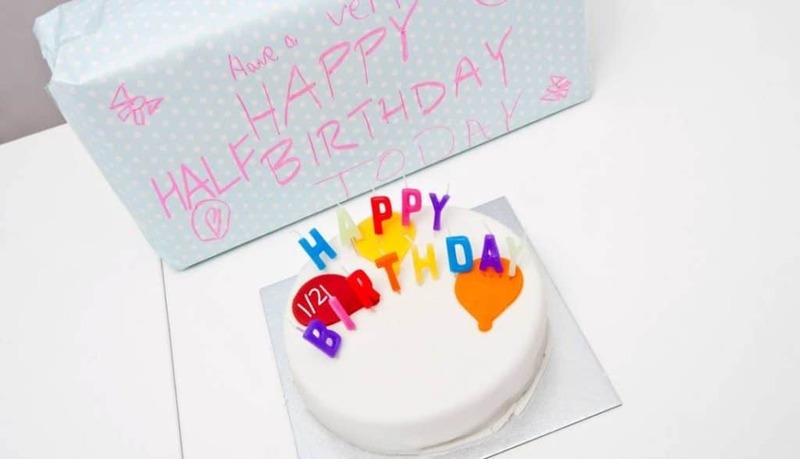 So, read on to find out why you might want to start celebrating half birthdays, plus get some tips on how to throw a great half birthday party. Why Throw a Half Birthday Party? Birthday parties have gotten way out of hand as it is. Why should we start adding MORE of them? If your child’s birthday falls during a school break, it can be hard to invite many of his or her friends. In elementary school, most kids don’t exchange phone numbers. So, if your child has a mid-summer birthday, you’ll likely be limited to family and neighborhood friends. By celebrating a summer child’s half birthday, you can throw the party during the school year when it’s easy to hand out invitations to classmates. On the other hand, if your school year schedule is too hectic, you can celebrate a school year birthday during the summer instead when your schedule might be more flexible. Likewise, birthdays that fall on holidays can be hard to celebrate. Either the birthday boy/girl takes a backseat to the holiday, or vice versa. By celebrating the half birthday instead, your child can enjoy the holiday AND his own special day. As someone’s birthday draws near, he or she might suspect a surprise party if no concrete plans have been made. This makes it really hard to throw an awesome surprise party. But no one expects a surprise HALF birthday! So if you want to pull off an amazing surprise party, celebrating this unique milestone is a great way to do it. Many people are uncomfortable receiving praise or recognition for their achievements. If someone you know has accomplished a major goal, come through a difficult ordeal, or just deserves recognition, a half birthday celebration is a fun way to celebrate her without drawing attention to whatever you’re really celebrating. Sometimes life throws you a curve ball and messes up your perfect plans. This past year, my youngest daughter’s birthday party was cancelled because my dad passed away and we held his funeral on the day we were supposed to have my daughter’s party. 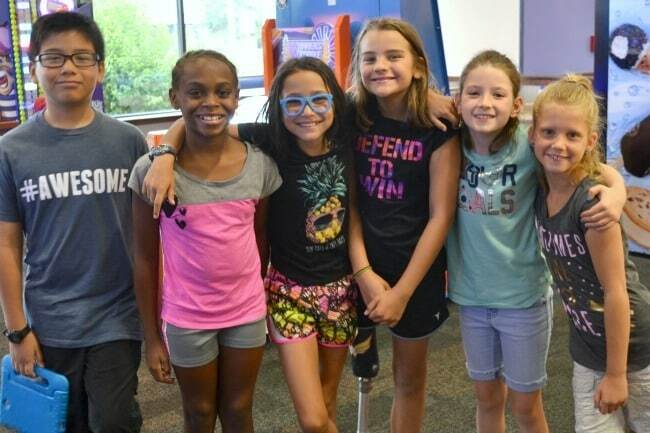 She understood and didn’t complain about the cancelled plans, but I was disappointed that one of her milestone birthdays (she reached double digits!) was forever going to be associated with my father’s death. I decided to have a do over birthday and we celebrated on her half birthday. Do I tell people it’s a half birthday? How many candles go on the cake? Since half birthday parties are a non-traditional idea, there are no hard and fast rules you have to follow. What better way to break out of the epic birthday competition than to break the mold completely? 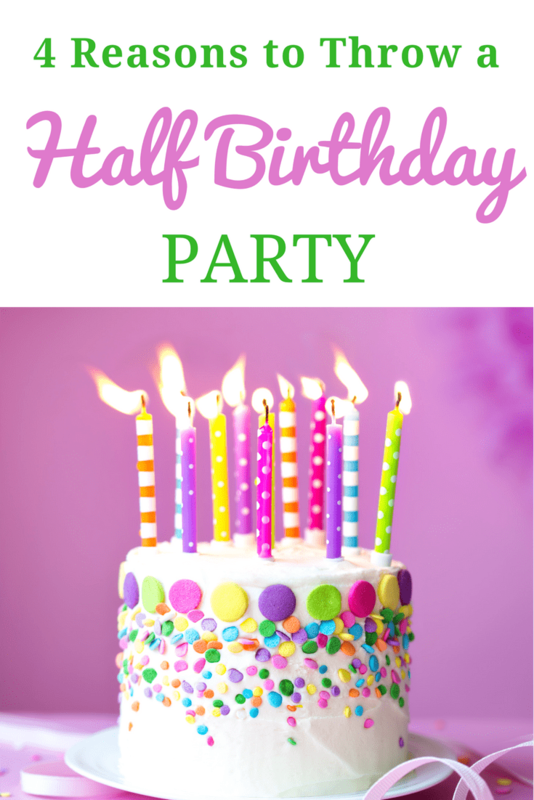 You can throw “half” a party (skip food and gifts and just do cake and games). You can throw a two-part party, half at home and half somewhere else. Do whatever you want! Because my daughter’s half birthday party was a do over, I went all out. 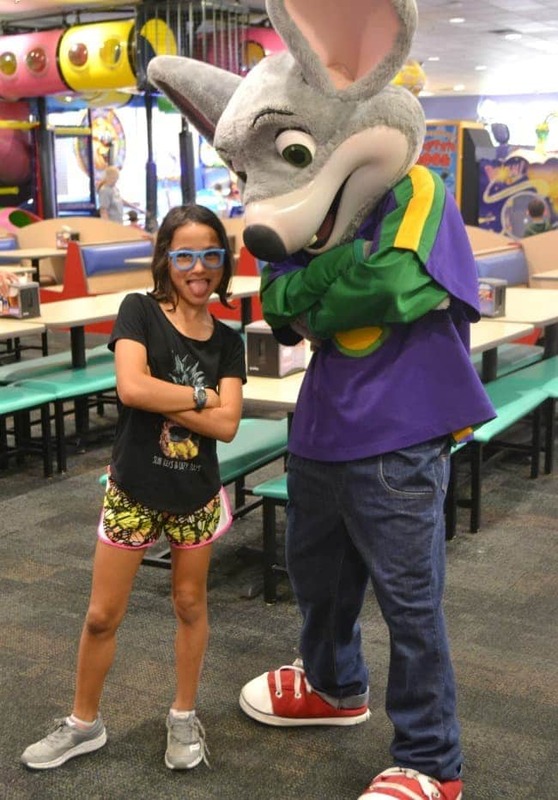 I wanted all the attention to be on her and I wanted her to have a ton of fun so that from now on she’d think of her 10th birthday as a huge celebration instead of picturing all of us crying around my dad’s death bed. 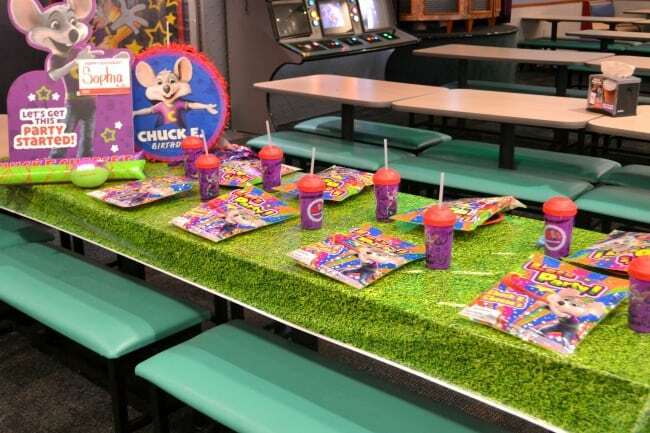 I booked a Mega Superstar birthday at Chuck E. Cheese’s. Games, prizes, food, drinks, dessert, entertainment, goody bags and even a pinata. We literally just had to show up. So, we gathered up all her closest friends for a day of fun. My daughter insisted on wearing her “glasses” for most of the pics. Who was I to argue? She was the half birthday girl! When we arrived, our dedicated party host was waiting with our party table all set up. I wanted my daughter’s half birthday party to be about creating fun memories, not necessarily about things, I didn’t tell the guests we’d be celebrating her half birthday. I just invited them to come play with us all day. And play they did! 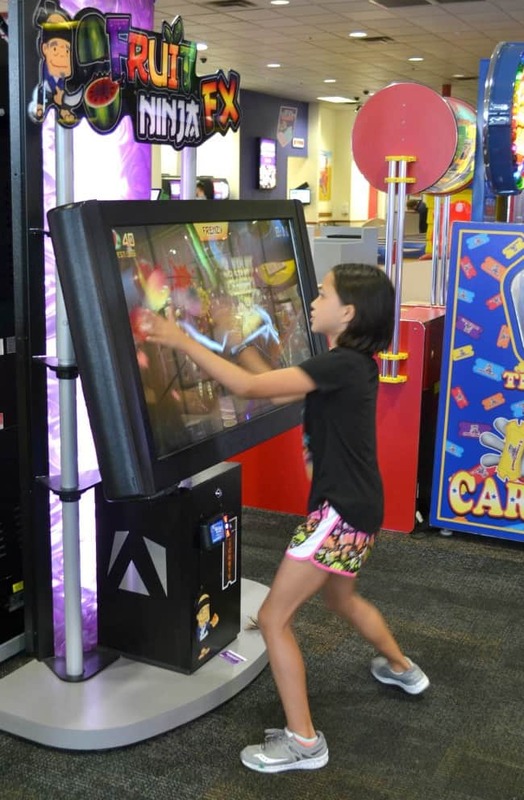 The kids loved all the full size versions of some of their favorite mobile games, like Flappy Bird and Fruit Ninja. I almost booked the Eat More Play More Birthday Package for the extra pizza, but opted for the Mega Superstar party to get the Unlimited Play. 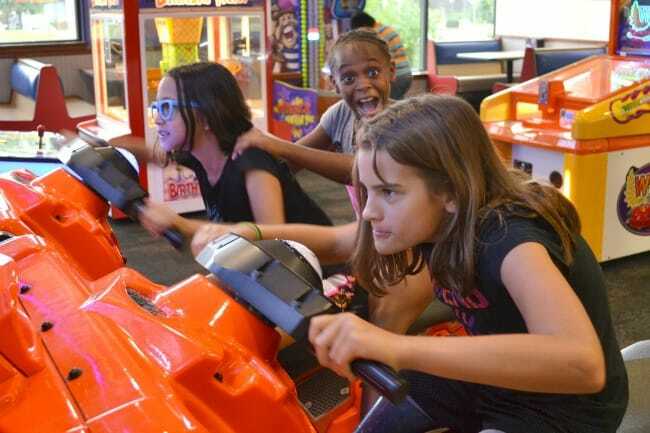 All of the kids got to play as many games as they wanted for the entire two hours of the party! Instead of ordering extra pizza, I added a variety of food from the menu for variety. 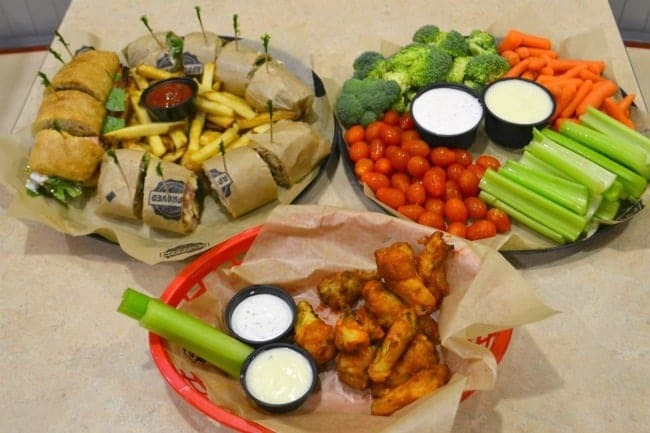 Who knew Chuck E. Cheese’s had so many food options? 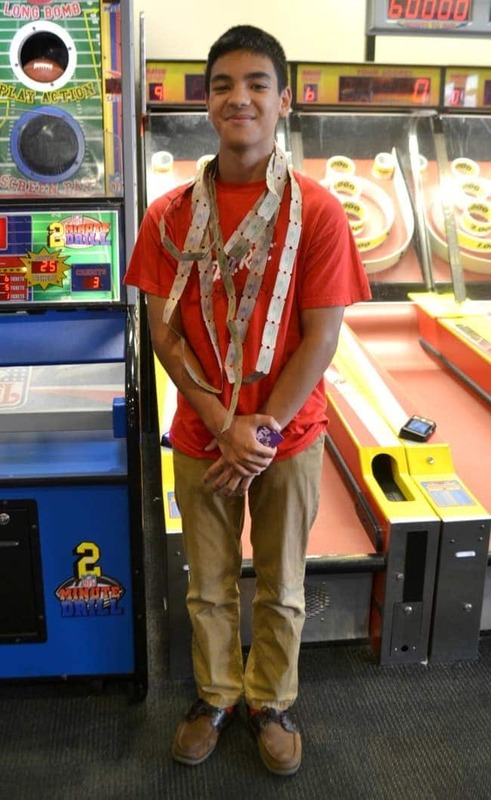 Unlimited play meant all of the kids racked up a lot of tickets. One of my sons decided to use some to accessorize. Any concerns I had about my daughter being disappointed that there were no presents were completely wiped away when she walked out carrying her Super Goodie Bag and a ton of loot from all the tickets she’d won playing unlimited games for two hours. 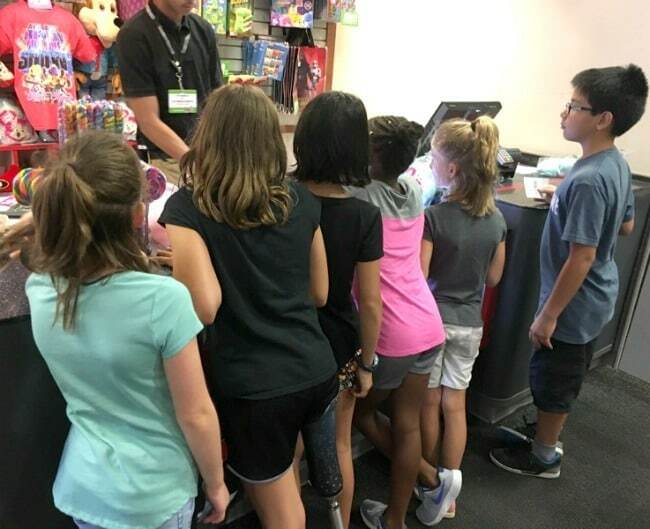 In fact, it took the kids 15 minutes to spend all their tickets because there were so many things they could get. Definitely a memorable birthday party, and most notably (for my daughter) because we threw it for her half birthday. I hope this post has helped inspire you to think about birthdays and half birthdays a little differently. Your family’s special days and life moments are times to celebrate however you want. Don’t let the pressure of how everyone else does things confine you to a mold you might not fit in. These are outstanding ideas for celebrating the half-birthday party.